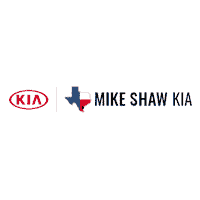 If you’re looking for some genuine parts to help you complete that repair job you’ve tackled at home, head over to Mike Shaw Kia in Corpus Christi, TX today! Our dealership has a range of OEM parts and accessories to choose from, so you’re sure to find just what you need. Not sure what you need? No problem, our parts department staff is here to help! Let us know what you’re looking to do and what kind of car you have; we’ll help you gather everything you need to safely complete the job and answer any installation questions you may have. Prefer to let us handle the installation? No problem, our service department only uses genuine items when completing any repairs on your vehicle and many of the OEM parts we use come backed by a warranty when installed by a certified technician so give us a call to book your appointment today! If you know just what you’re looking for, we invite you to view our parts specials before using our online form to place your order. Thanks for shopping for all of your genuine parts here at Mike Shaw Kia, we look forward to assisting you again in the future!